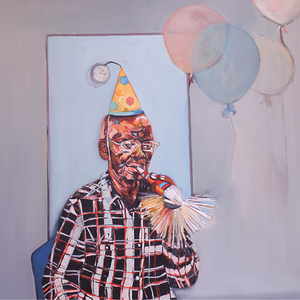 Bevery McIver is a powerful force in contemporary American art. 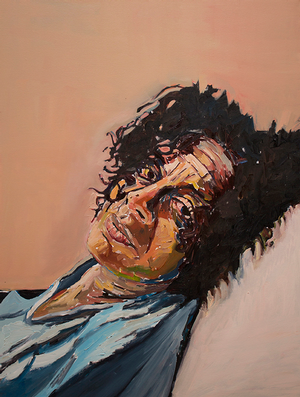 She applies an impasto of primary oil colors onto canvas to vividly express the emotions of her portrait subjects. 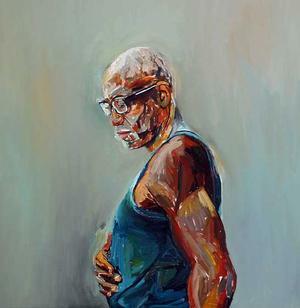 Often it is the face of a family member, friend or herself that McIver paints to explore the human psyche and struggle. Her work has been reviewed by the New York Times, and in 2011, Art in America magazine recognized her as one of the "Top Ten in Painting." In addition to being a successful painter, McIver is Esbenshade Professor of the Practice of Art, Art History and Visual Studies at Duke University. Summer will bring the artist more time to work on two new series of paintings for her upcoming September show. 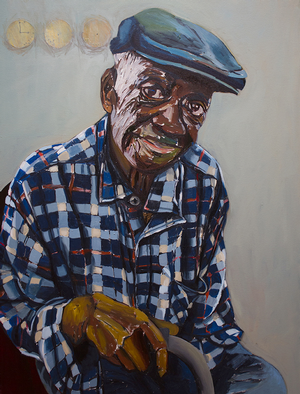 In a current series McIver is painting her 90-year-old father, Cardrew Davis, who lives in Greensboro, N.C., her home town. She didn't know him as a child growing up and only found out about him at age 17. Out of loyalty to her mother — who was angry at Davis for not marrying her and for having to singlehandedly raise three daughters — McIver didn't cultivate a relationship with her father until after her mother's death. "This is a new relationship in the last five years," McIver says. "I'm painting about that relationship, and getting to know him as a man and what he was like as a kid and things like that." Another McIver series is inspired by a 1950s vintage black doll. A friend had given her a little old-fashioned cloth doll made of dark brown linen fabric, with embroidered eyes and mouth, dressed in old clothing. Over the years, McIver has received several black dolls as gifts, "But this is the first black doll that I have seen that I didn't think was ugly or scary," says McIver. "As soon as I saw it, it was like, 'Oh, my God, I love her!' She is like this little black girl that grew up in the projects that I feel I have to protect and take care of. 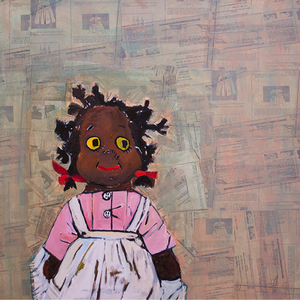 So, I'm painting about the relationship of being a little black child that grew up in the projects in Greensboro and negotiating my life now as a middle-class professor at Duke University." The first iterations of these new series of paintings were featured in a show at Craven Allen Gallery in Durham, N.C., Feb. 20 - April 9, 2016. McIver says they are not a departure from the themes of her earlier work. 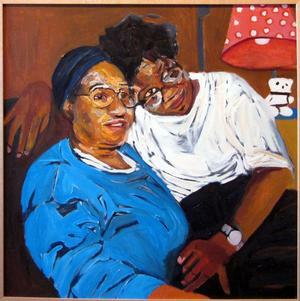 "It's a continuation and development, in that I always paint about family," she says. 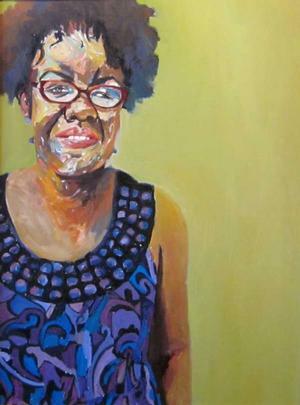 "I painted my sister, Renee, for many years. What it's like to grow up with someone with special needs and epilepsy. So, it's still about family, but it's now more about my dad and my relationship to him and my relationship to myself." 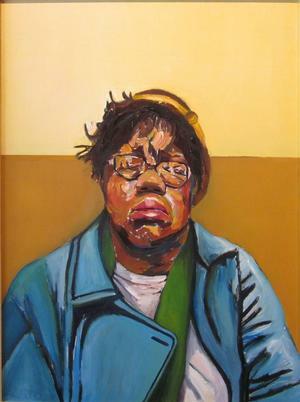 McIver's mentally disabled older sister, Renee, is the subject of many of her earlier paintings. In 2004, at a time McIver's art career was booming, her mother died, prompting her to take on caregiver responsibilities for her sibling. 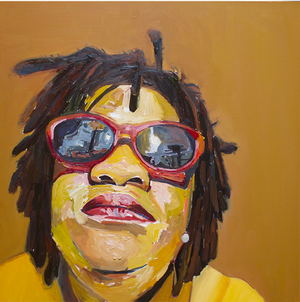 This period of the artist's life is detailed in the Emmy-nominated 2011 HBO documentary film, "Raising Renee." McIver is legal guardian of Renee who, developmentally, is about at the second grade level. 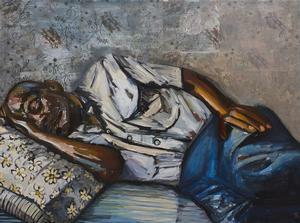 McIver's visual explorations into the inner life of the people she paints might remind some observers of the blues, that powerful musical expression of the emotional experiences of African Americans. In some respects, she says, her work covers similar territory. 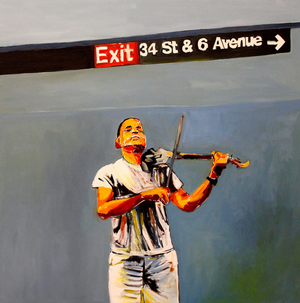 "I think some of my paintings are really sad, I think some of them are redemptive. I think they are hopeful, never a lost cause, but recognize that being a human being is complex and full of this whole gamut of expression from sadness to joy. So, in that regard, they do relate to the blues or what people sang about." When blues guitarist B.B. King was touring, McIver would go see him. Soul singer Otis Redding is in her music play list. In 2015, McIver traveled to Cuba among a group of 18 artists and curators. Their tour bus took them visiting Cuban artists in their studios. The trip made a deep impression on McIver, and ideas from that experience are still percolating. "I'm going to try to return to Cuba in November and spend some time down there. For some reason, just being there felt really authentic to me. It felt like it was very familiar, I don't know, like home," McIver says. Her reaction was not simply a flashback of seeing decades-old cars. "We never even had those kind of cars, because we were so poor. It was a combination of the people and the landscape, the buildings, the food — everything felt very, very familiar. So I have no idea what that's about, but I want to go and investigate it." The vibe McIver sensed in Cuba was not the same as the one she'd gotten on her journeys to Europe. "Cuba was very different," she says. "You know, I didn't feel like I was representing black people. I didn't feel like I was discriminated against. I didn't feel any of the things I felt when I went to France, to Paris, last summer and ran into some discrimination. I've been to Germany and other places, but Cuba was very different. It felt right. If I could live there, I would." So far, McIver has had time to create only one Cuba-inspired painting. 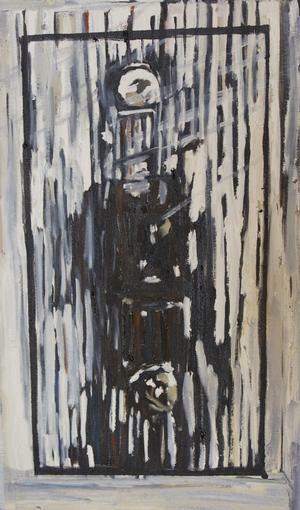 "It's a simple painting of a light switch that I saw in an artist's home when we were there. But there is something very, very beautiful about it because it was just a light fixture on the wall," says McIver. "Basically, it reminded me of a Franz Kline painting. It was black and white and fairly abstract. I took a picture of it, and I made a painting of it. But nobody knows it is a light switch. Everybody said, 'Oh, that's an abstract painting.' So I hope to do more of that with the landscape that I saw. You know, just the abstraction that I saw in simple everyday objects." At a time when many artists do all sorts of mixed media, found-object, multimedia and three-dimensional installations, McIver continues to successfully paint on canvas. "I really like the purity of just painting and working from basically a primary palette and creating work that has a long tradition, a European tradition," says McIver. "I've always prided myself on mastering those skills. I mean, painting, just pure painting, is really hard — which might be why a lot of people don't do it. Everybody has access to taking photographs. If you have a camera, a phone, you have access to taking photographs. It's quick and instant and a sort of quick gratification. Painting it takes a little bit longer to achieve completion." McIver does, however, employ the camera as part of her longer creative process. Whereas the old masters made sketches and preparatory studies before committing oil to canvas, she snaps photographs. "What I do is I take pictures, and then I sort of collage them or set them out and then I start working on the canvas. But with the idea that they can change or mend and grow and be whatever they need to be." For McIver, painting is not a static process of executing a design that is already worked out in detail. It's dynamic. "It's more of a discovery while I'm doing it. I have some general ideas. I want to paint a doll. But then the doll dictates, or my inner voice dictates, what those positions will be and how it will appear. All that stuff is open for inner discussion," says McIver. Cliff Hocker is an independent writer who lives in Richmond VA.